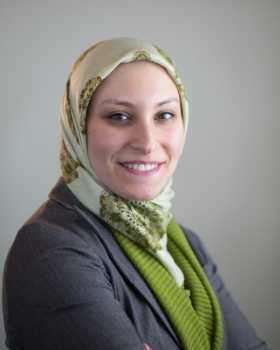 Yusra Al-Shawaf is a licensed clinical social worker in the state of Illinois. After obtaining her bachelors agree in psychology from the University of Illinois and her master’s degree in social work from Columbia University, she began her work in the hospice care and bereavement fields. Yusra’s academic experiences include motivational interviewing, cognitive behavioral therapy and dialectical behavioral therapy. She specializes in relationship issues, couples counseling, life transitions, grief and loss, chronic illnesses, caregiver support, and depression and anxiety. Yusra’s approaches to therapy are as unique as each client who walks through the door. She works to build genuine relationships with her clients in order for them to feel safe and secure.